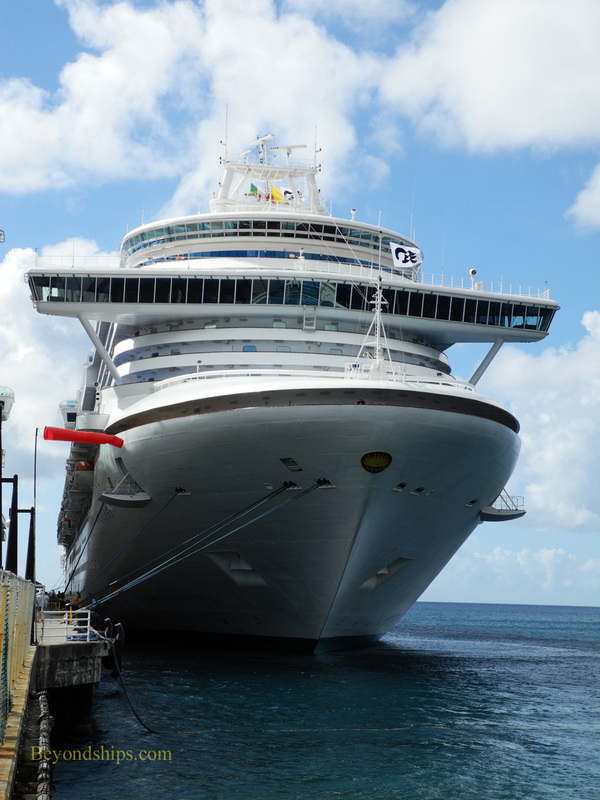 On a sunny morning in early February 2013, passengers stepping out on their balconies before beginning a day exploring St. Kitts may have been startled to see what appeared to be their ship docked across the pier. Regardless of whether they were on Princess Cruises' Emerald Princess or P&O Cruises' Ventura, the ship they were looking at was apparently identical to the ship that they were on except for the name of the ship and the name of the cruise line. During the course of the day, there was much speculation about why two cruise lines had seemingly identical ships. The most popular theory was that Ventura was a former Princess ship whose name had been changed. Another was that since both lines are owned by Carnival Corporation, this was just an example of using the same design for two brands. Neither of those explanations, however, was correct. 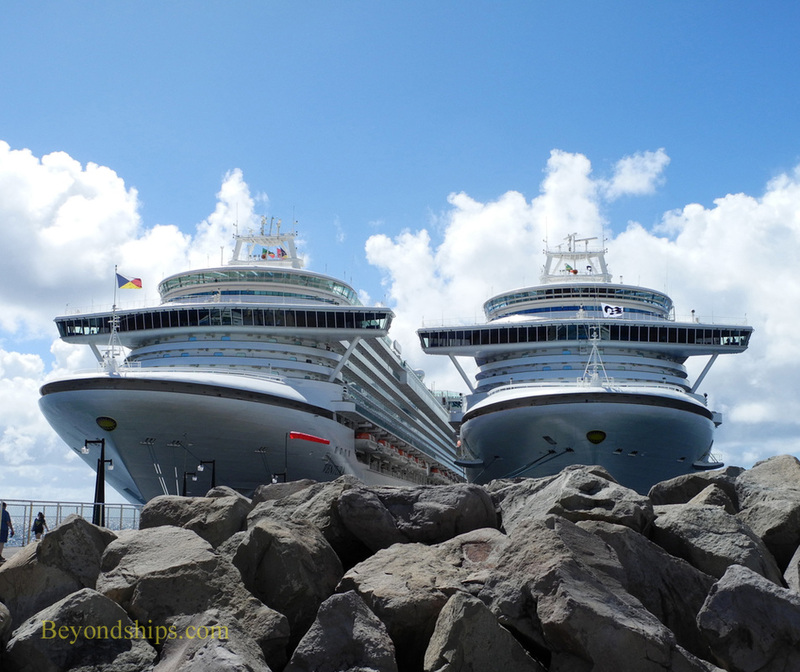 Ventura and Emerald Princess are sister ships. Both were built at the Fincantieri shipyard in Malfalcone, Italy, to an enhanced version of the design that first debuted on Grand Princess. Emerald Princess was completed in 2007 and Ventura was completed in 2008. Thus, one was built just after the other. 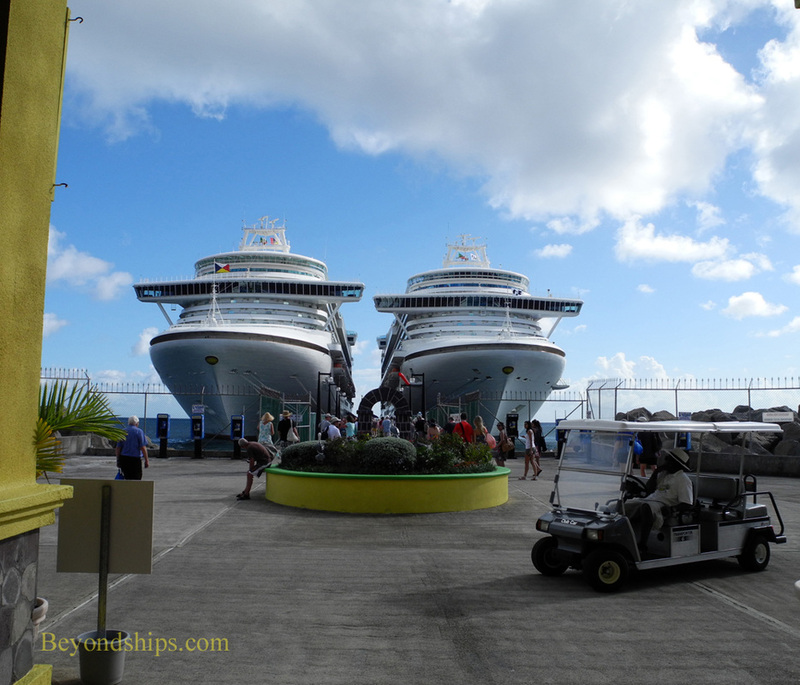 Both ships were built specifically for the cruise line that now operates them. 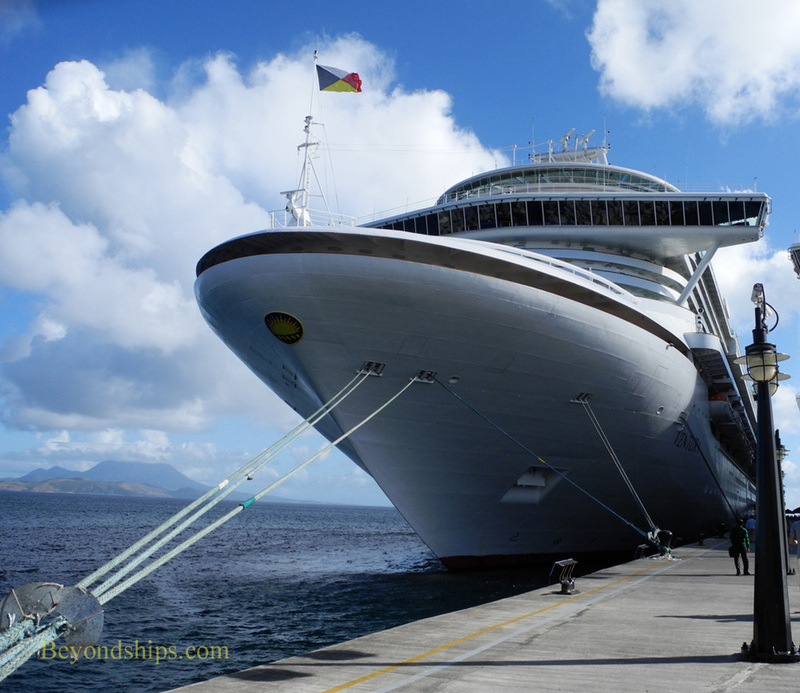 Emerald Princess was built for Princess Cruises and Ventura for P&O Cruises. Ventura was never a Princess ship. 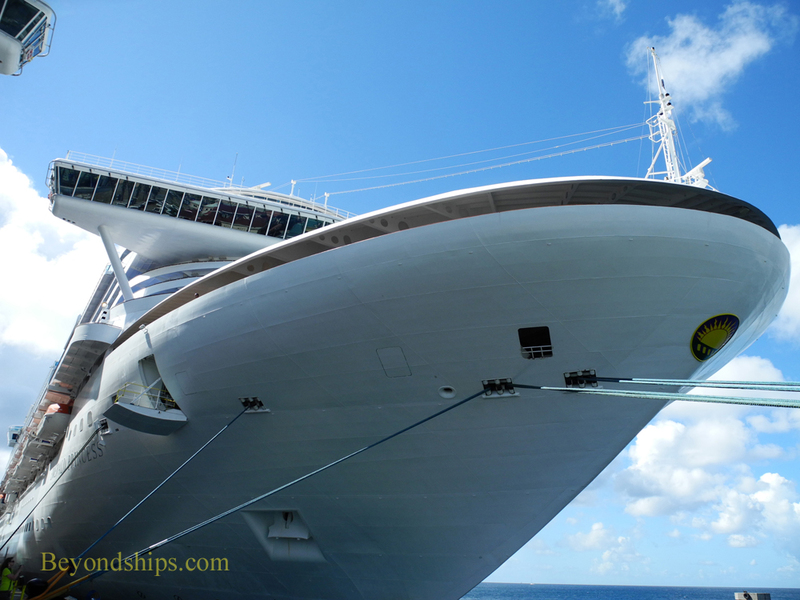 Prior to coming under the Carnival umbrella, P&O was the owner of Princess Cruises. The Grand class design was developed in those days. Although all of the Grand class ships were distributed to its Princess subsidiary, P&O long planned to order a Grand class for itself. 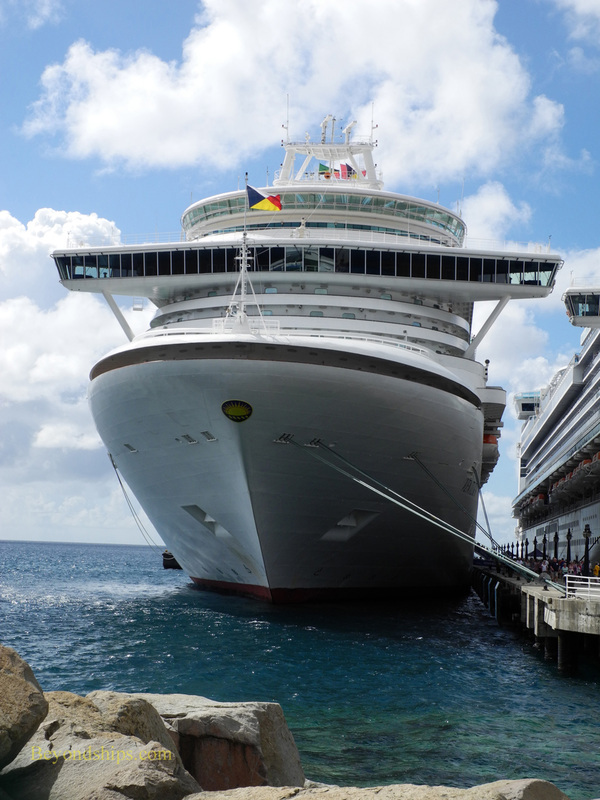 In fact, the ship that eventually became Caribbean Princess was initially ordered for P&O but it was decided before she was completed that the ship should go to Princess. In any event, Ventura (and her sister Azura) are the fulfillment of that ambition. 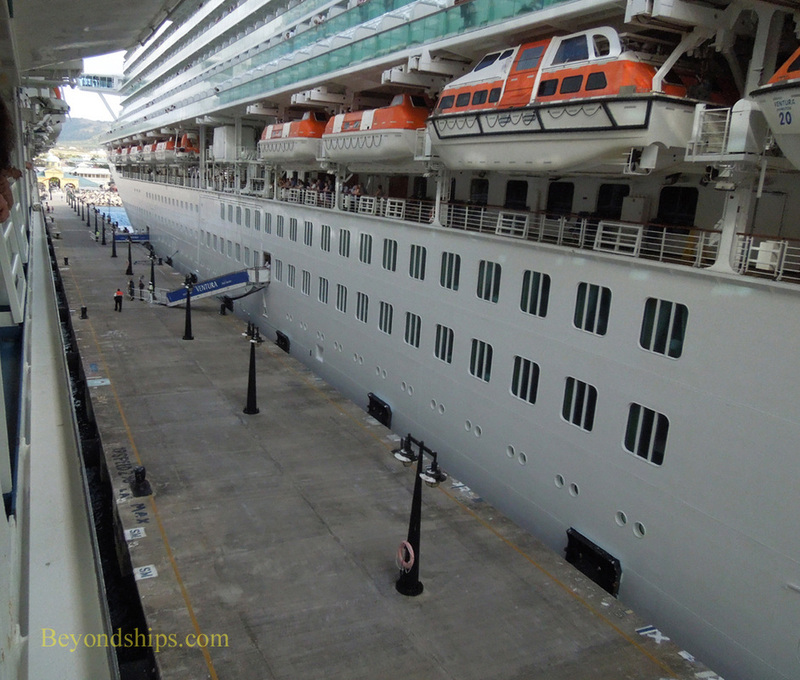 Although Ventura and Emerald Princess look very much the same, they are not in fact identical. Ventura is slightly larger in gross tonnage due primarily to the fact that she has an enclosed swimming pool. Inside, the two ships are quite different. As seen in our photo tours of the ships, Ventura was designed with contemporary British tastes in mind whereas Emerald Princess was designed to provide American-style relaxed luxury. Above: The two ships from behind the sea wall that shelters the terminal area (left) and from the terminal building (right). Above and below: Individual photos of the two ships. Ventura is on the left and Emerald Princess is on the right. Below: Ventura from Emerald Princess.